What does the cloud and smart phones mean to wireless networking? SecurEdge doesn’t offer cloud services (yet), we build large scale wireless network infrastructure. But in order to understand what’s happening with mobile devices and WLANs these days, it’s important to track what’s going on with the trends in technology and specifically cloud computing. The trend toward pushing computing back to a hosted model isn’t going away, in fact, it will only be accelerated as organizations like Apple (who just introduced the iCloud), Google, and Microsoft convince the world that they can trust them to manage digital content in a data center out of the end users control. I’m one of those people who believe that the past doesn’t always equal the future, but in technology, sometimes it’s really interesting to look at the past to understand the future. So let’s take a quick trip down memory lane. In the old days of networking there were “green screen” computers connected to big mainframe computers. The user facing terminals were really just an end device that connected to the big computing power of the AS400 or other main frame computer. The reasons were simple: memory and computing power was extremely expensive. 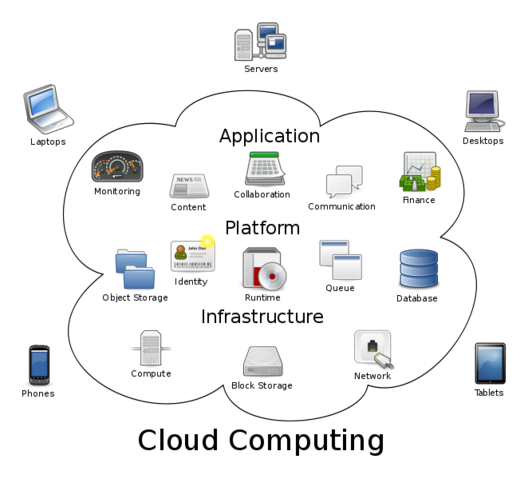 Organizations could only afford to have one centralized computer system where their core applications were run. End devices or user facing devices were all hardwired in and would simply just access the main system.......sounds a lot like cloud computing doesn’t it? Bandwidth was also very expensive, but it didn’t matter much because there wasn’t a lot of data moving between the edge device and the mainframe. A bunch of Silicon Valley guys mainly Bill, Steve, Hewlett, and Packard drove the personal computing era. Costs of memory and processing power dropped into a range where it made sense to have much of the computing power at our fingertips. 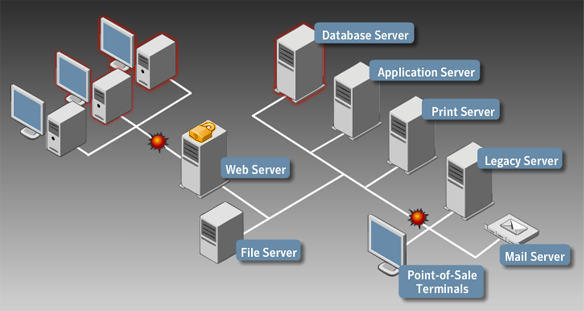 In a typical office environment, you would have a personal computer (Client Device) and the heavy duty functions such as email would be handled by a shared high powered computer (Server). So computing power was split between the user’s device and the corporate servers. PC’s evolved into smaller more mobile devices with laptops (wireless of course) being the PC of choice vs. desktops. And why not have a mobile computer when you can get one for nearly the same cost as the tethered desktop computer? Today everyone is talking about taking it “to the cloud” which is simply a way of saying that we’re moving back to the model of having heavy processing power and many of our applications and digital content hosted in a data center….sounds familiar doesn’t it? But this time, our reasons for having hosted applications are very different. Today, computing power, storage and bandwidth are cheap. So cheap in fact, that almost all of our devices have computing power, even our TV’s. Each of us has many computing devices (3-5 per person) and all of our stuff is being connected to the web…and most of them are mobile devices. Mobile devices are the reason cloud computing is here to stay. There is no Ethernet jack on an iPad or Android phone and most of our corporate users are carrying laptops. What does this mean for CIO’s and Administrators of corporate networks everywhere? The primary network access method from now till the end of the world is not wired infrastructure, its wireless. 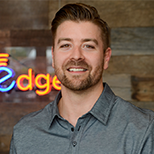 SecurEdge Networks specializes in building large scale secure wireless infrastructure for everyone from hospitals and Retail stores to schools and airports. If you need some help planning and deploying something like this, feel free to contact us for a free consultation . We also offer some free stuff like our wireless design kit to get you on the right path. Next Post: Are Wireless Site Surveys Worth The Cost?